Admittedly its been awhile since I have been able to crochet a lot recently. New Job has been taking up much time every week so I am trying to get better and squeezing in crochet time when I can. Fortunately! 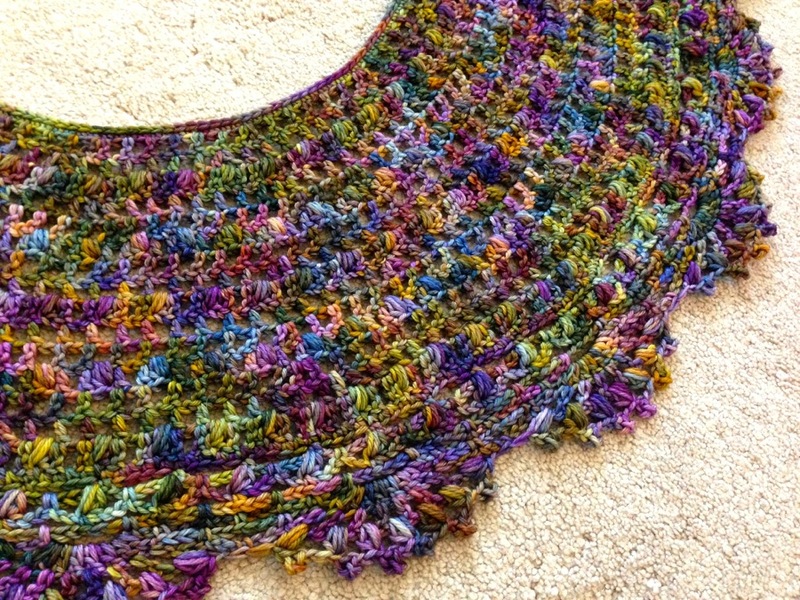 I am finished with this fun crescent moon shape wrap that I made with some Malabrigo yarn I picked up at Stitches West back in February. 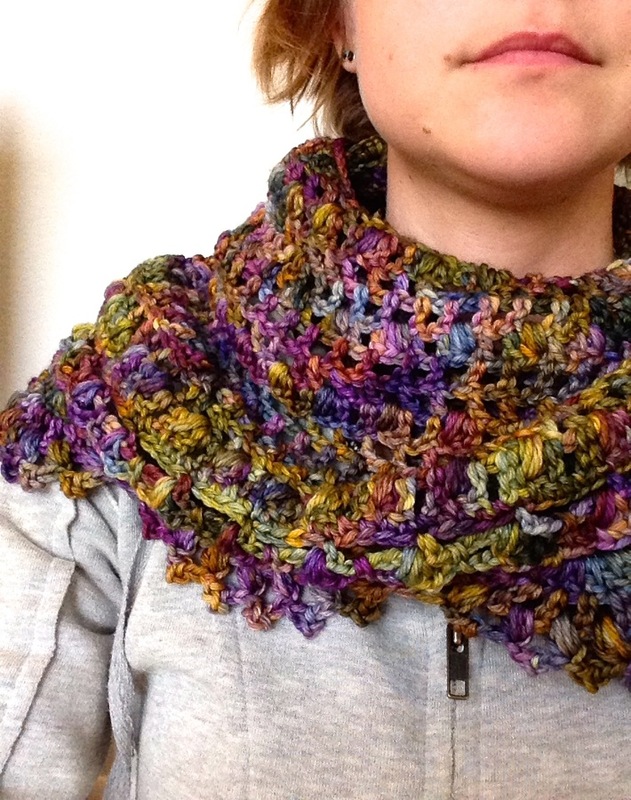 I wanted to try something a bit different than a standard scarf but since I didn’t have enough yarn to do something like a shawl or cardigan, I opted to look for a wrap in an interesting shape. To clarify, since this pattern has a few iterations and versions, I used 2 of the included instructions. 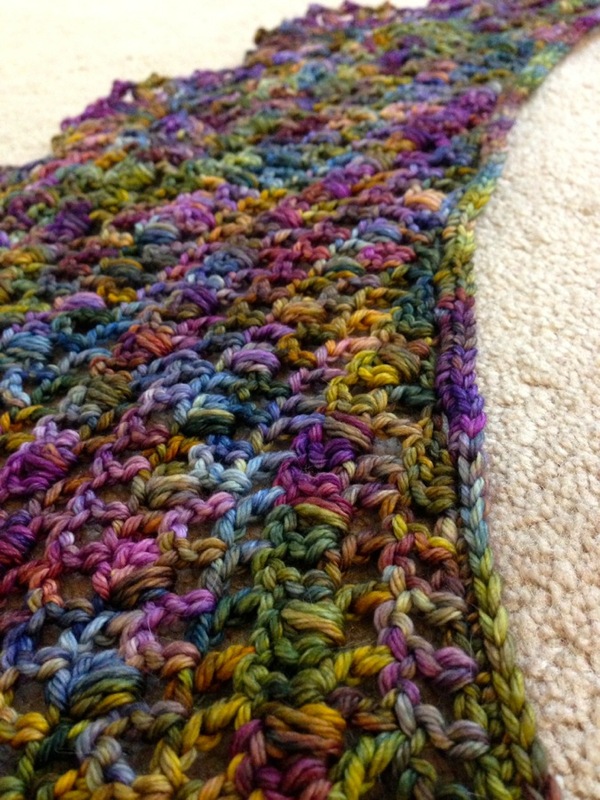 For the body of the scarf I follows the pattern titled Mezzaluna_Wrap_simplified_terms_by_Judy_OC. 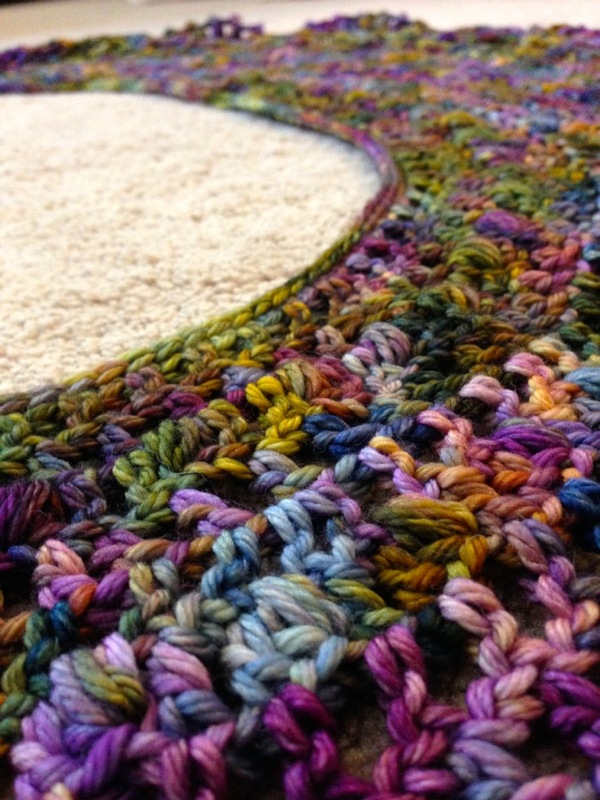 For the edging I followed the pattern titled Mezzaluna_Wrap_UK_English_Terms_by_dsweeney (Edging #2). Once you figure out the repeat its pretty easy going for the body, and I like the look of the bobbles, not too many so it is not too heavy. 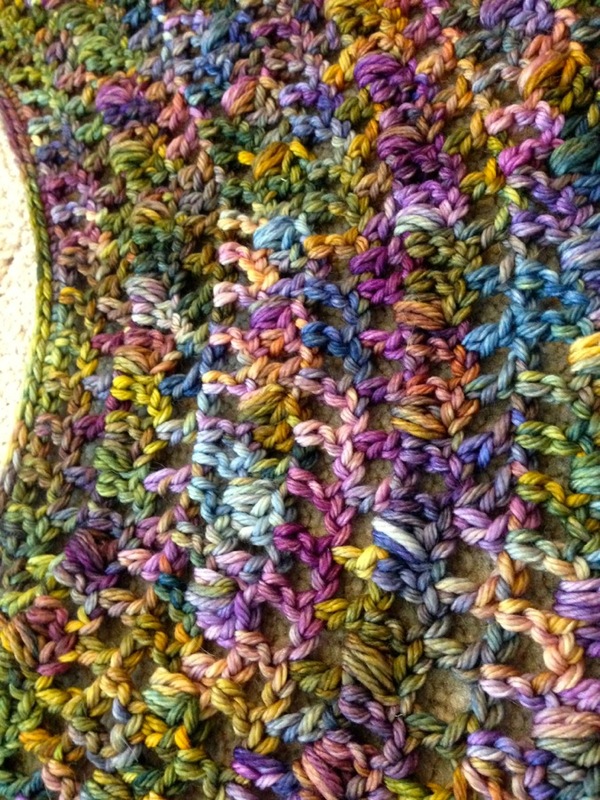 The trim is a fun scalloped and picot trim. I added a row of sc around the entire piece prior to starting the trim on the outside edge. I like how it turned out, the colors are so wonderful, reminds me of a watercolor painting of a flower garden. 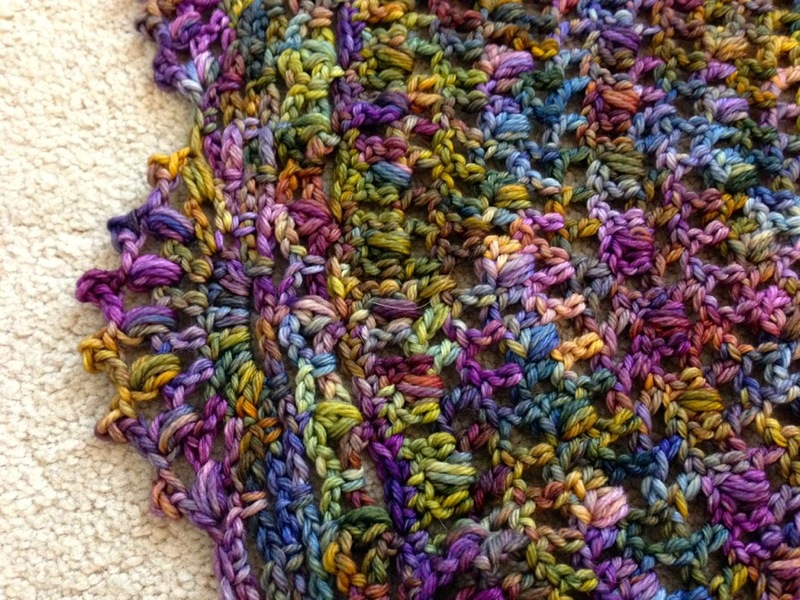 I have not blocked it yet, I am not sure if I think it needs it, it is soft and sturdy enough already. Check out the finished item photos below, final measurements are around 56 inches in length from tip to tip, and at its thickest it is about 10 inches wide. 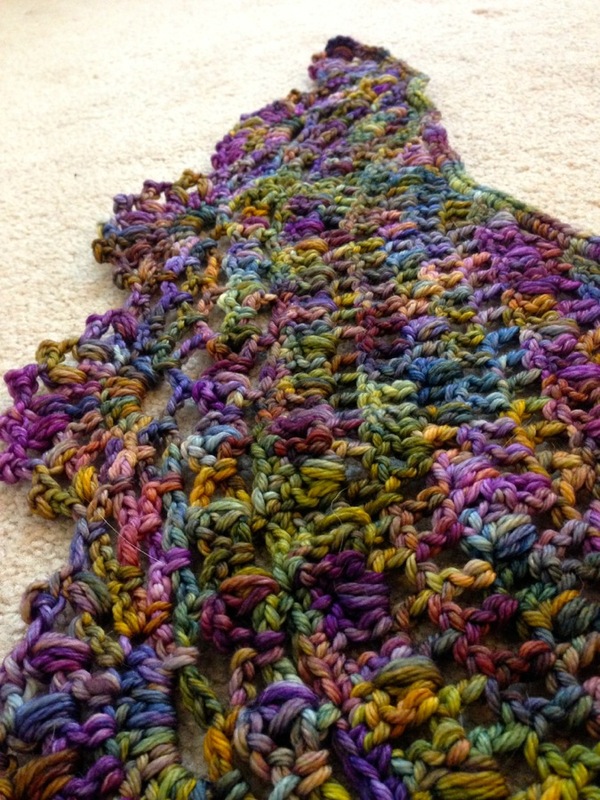 I had 3 skeins of this yarn and have about a half a skein left so I am guessing around 500 yards total used. Thanks for stopping by! 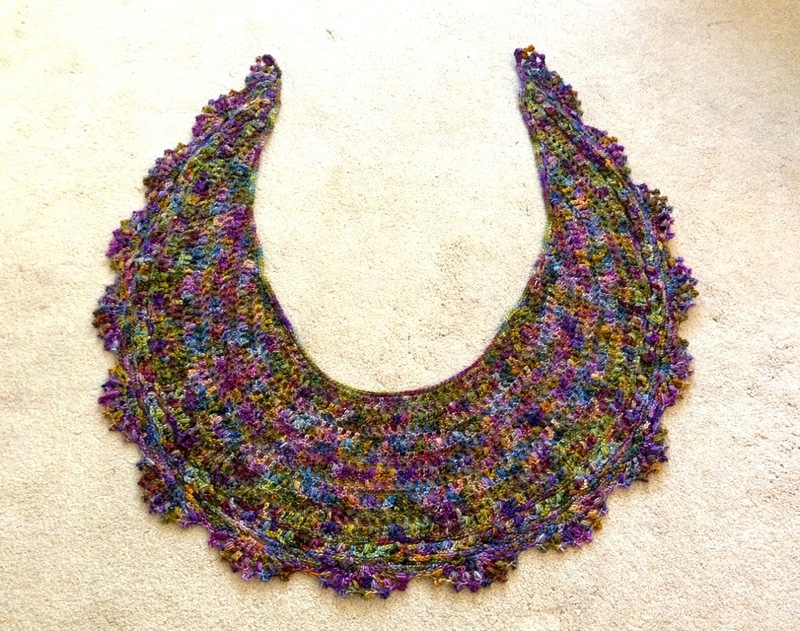 If you have any questions about this item or how I used the pattern, please leave a comment below!